The strike would bring picket lines outside schools and rallies at the park between the Statehouse and Denver’s City Hall. The union, the Denver Classroom Teachers Association, represents about 5,635 educators. “It’s not going to look like a typical school. We want to be honest about that,” Superintendent Susana Cordova said. It’s unclear exactly how the strike will affect schools and for how long. Among 207 schools and about 90,000 students, any disruption could quickly ripple out. 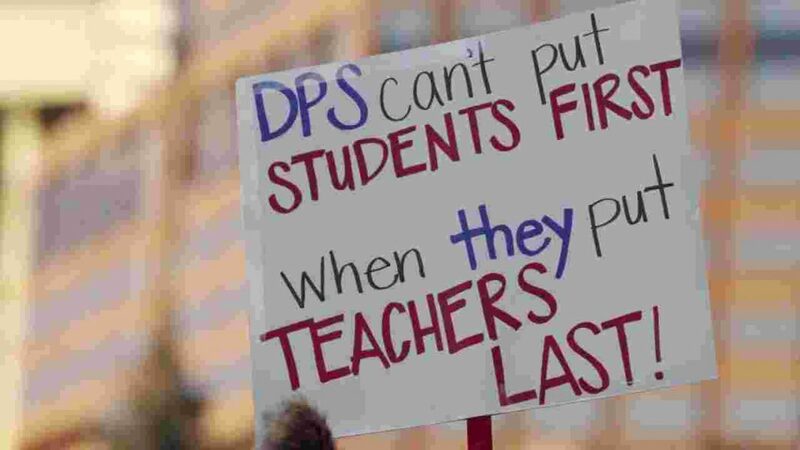 DPS is one of Denver’s largest employers, and some parents plan to keep their kids home in an effort to force the district to compromise faster. Denver’s voters are overwhelmingly Democrats, and that may make many parents unwilling to cross the picket lines with their kids. For many parents, a strike won’t make a big difference, at least initially. Though administrators said schools won’t operate as normal, they will be open. If the strike lingers on, administrators might run out of substitutes and fill-ins. The approximately 5,000 preschool kids won’t be able to attend because the district can’t quickly meet state-mandated standards for background checks and qualifications for subs in early-childhood classrooms.